The issue of giving awards to individuals or groups by JSA was debated for some time by its members. As an association dedicated to helping to erase distinctions that are disabling to living beings, we saw an irony or contradiction in presenting an award which by definition creates a distinction. Nevertheless, we wished to recognize those who were and continue to be a source of inspiration to us, to thank them for blazing trails where we wish to go. And so we made the decision to acknowledge those who inspire us through two annual awards. We see these awards as a public act of gratitude. One of these awards is in honor of Noam Chomsky and the other is designed to recognize someone who has dedicated her or his life to the service of others through social activism. And while plaques and paper weights can serve as wonder symbols of recognition, the members of JSA decided that those who receive the association’s awards will receive a hand-potted salad bowl with a notation about the award scratched in on the bottom. The bowl becomes a reservoir where the friends we recognize can share food and hospitality with each other convivially. In 2001 the membership of JSA made a decision to give an award at the association’s annual conference. This award is called The Noam Chomsky Award in honor of Noam Chomsky, Professor of Linguistics and Philosophy at the Massachusetts Institute of Technology. Members felt that the work which Noam has done for the past half century reflects to a large degree the kinds of human rights and human well-being issues that Justice Studies Association is concerned about. To those who know Noam Chomsky, it will come as no surprise to hear that he did not feel very comfortable with the idea of an award named after him. His modesty pointed to others who might be more “worthy” but he, nevertheless, acceded to the association’s wish to have an award named after him. 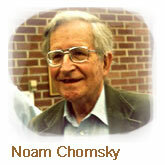 The Chomsky Award recognizes a person (or in some instances a group) who exhibits three qualities which have characterized Noam Chomsky’s life and work. The person should be a source of inspiration to others through her or his commitment to scholarly and intellectual activities related to justice; the person should be personally active in the promotion of peace and justice; and the person should live a life of relative simplicity. However, the recipients of the Chomsky Award might meet each of these criteria to varying degrees. Monica Jahner served twenty-eight years in a Michigan state prison. While incarcerated, she founded Kids Need Moms, a program to promote quality visits between children and their mothers. Monica earned a paralegal certificate, Associate’s Degree in Criminal Justice, and a Bachelor’s Degree in Behavioral Science. Upon her release from prison, she joined the staff of ARRO, a grassroots reentry program working to eliminate barriers facing released clients. Monica realized that changing Legislation in the Criminal Justice system was key to getting “Smart on Crime” and worked to chance laws on food stamp issues, Juvenile Life Without Parole (JWOP), Veto changes for Lifers, Raise the Age, and creating Specialty Courts. In 2009 Monica was elected to the Ingham County Community Corrections Advisory Board, where she has created a diversion day reporting run by those closest to the problem. Monica has further created a collaboration with Michigan State University (MSU) Human Resources called Spartan Fair Chance. Monica was awarded an advocacy grant from Self Development of People Ministry (SDOP) which she used to found the Fair Chance Coalition to Ban the Box. She also serves on the Prison Correction Section of the State Bar, and Citizens for Prison Public Spending (CAPPS). In 2015 Monica became a cohort with Just Leadership USA (JLUSA). After the death of her brother she took over his comic store and created a nonprofit organization to mentor high-risk youth called Creating Heroes Stephan’s Way, the first comic store where all the profits go to the youth. Robin Casarjian, M.A. is the Founder and Director of the Lionheart Foundation and its National Emotional Literacy Projects. She is an educator, public speaker, writer, and consultant. In developing and implementing programming for prisoners and youth-at-risk, she draws from her experience as director of a school for at-risk adolescents, as well as extensive experience in education, stress management training, psychotherapy and administration. She is author of Forgiveness: A Bold Choice for a Peaceful Heart (Bantam, 1992) and Houses of Healing: A Prisoner’s Guide to Inner Power and Freedom (Lionheart Press, 1995), and co-author, with Bethany Casarjian, Ph.D., of Power Source: Taking Charge of Your Life (Lionheart Press, 2003). Carole Simpson a trailblazing pioneer for both African Americans and women in the field of broadcast journalism. She is dedicated to fighting racism and sexism. Simpson used her position as a major ABC news anchor and network reporter as a platform to fight racism and sexism, for which she endured both racist and sexist attacks. Her first break came when she interviewed Martin Luther King Jr. in 1966 when she was a rookie radio reporter in Chicago where she was the first woman to broadcast radio news. She was also the first African American woman to anchor a local newscast in Chicago, the first African American woman national network television correspondent, the first African American woman to anchor a national network newscast, and the first woman or person of color to moderate a presidential debate. Hers is a story of survival in a male-dominated profession that placed the highest premium on white males. When Simpson retired from ABC News, she became the Leader-in-Residence at Emerson College’s School of Communication in Boston, MA. She currently teaches journalism students mainstream media’s coverage of race, gender and class. She continues to publicly challenge the media industry and has established the Carole Simpson Scholarship to encourage and help minority students to overcome hurdles along their career path in electronic journalism. Her memoir, News Lady, chronicles how she endured and conquered gender discrimination and racial prejudice to reach the top ranks of her profession. Ms. Simpson established this scholarship to provide financial assistance to students of color interested in pursuing a career in broadcast journalism. Janet Connors is a long time community and social justice activist in Boston neighborhoods most affected by violence and social injustices. She brings over 40 years experience working with youth and families in community based organizations. She worked as the Survivor Support Coordinator at the Louis Brown Peace Institute for a number of years where she kept circles with families to promote healing from grief and trauma; to assist families with decision-making; peace-keeping efforts and preparation for the court process. Today, she brings restorative justice practices to schools as alternatives to suspension; as a means to build positive relationships and strong community by engaging in meaningful dialogue through the Circle Process. She has served for several years as Community Fellow and Trainer with the Center for Restorative Justice at Suffolk University; and as a former Board member of Reflect & Strengthen. Janet is currently an active member of the Massachusetts Restorative Justice Collaborative; a Board Member of Mothers for Justice and Equality; and a member of “Legacy Lives On” Survivor Support Organization. She participates on the Leadership Team of the Family Advisory Committee for the Department of Children and Families and is a Survivor to Survivor Support and Program Consultant to the Homicide Support Services Program at the BIDMC Violence Prevention and Recovery Center. She is the Circle keeper for a Restorative Juvenile Court Diversion Program in Lowell, Massachusetts; is working on bringing a similar program to Boston Juvenile Court. Ms. Connors has also been instrumental along with others in bringing survivors of violent crime together with those incarcerated for violent crimes in Restorative Retreats of Responsibility in a Massachusetts Prison. A survivor herself, Janet lost her son Joel to homicide. Her own personal journey brought about a change in policy practice to the state of Massachusetts which offers victims the option of calling for and participating in Victim-Offender Dialogue. She has met in restorative dialogue with two of the young men who killed her son and their mothers. She has participated side by side with these young men in a forum on VOD where together they presented about the transformational benefits of their experience with restorative VOD. In the audience there were youth and community workers, teachers, other Victims/Survivors, Victim Service Providers, Assistant District Attorneys and other workers in State Government and in the Criminal Justice System. Janet is a frequent public speaker and has participated on many panels at various forums locally and nationally; is on faculty for the MOVA Advocate Academy; was interviewed by HUMANKIND NPR Radio show; was MOVA’s keynote speaker at the State House for Victim Rights Awareness Week and is the receiver of a National Award for Leadership in Community and Restorative Justice. Janet works in schools and community settings as a circle keeper, restorative justice practitioner and trainer. Jane Golden, Executive Director, has been a driving force for the Philadelphia Mural Arts Program, overseeing its growth from a small city agency into the nation’s largest mural program and a model for community development across the country and around the globe. Under Golden’s direction, the Mural Arts Program has created over 3,500 landmark works of public art through innovative collaborations with community based organizations, city agencies, non-profits, schools, the private sector and philanthropies. Golden, a young artist initially hired by former Mayor Wilson Goode to help combat the graffiti crisis plaguing the city, reached out to graffiti writers to help turn their destructive energies into creative ones. In the process, she recognized the raw artistic talent among the graffiti writers as she began to provide opportunities for them to channel their creative forces into mural-making. The murals themselves transformed city neighborhoods suffering from years of neglect and hardship. In 1996, the Mural Arts Program was reorganized under the City of Philadelphia Department of Recreation and Golden was put in place as its director, at which time she established the Philadelphia Mural Arts Advocates, a nonprofit organized to raise funds and provide support to the program. In the decade since, Golden has connected the process of muralism to a multitude of community and public outcomes. In partnership with a range of city agencies, she has developed innovative and rigorous art education, restorative justice, and behavioral health programs serving young people, youth and adult offenders at area prisons and detention centers, and individuals suffering from trauma, mental illness and addiction. These programs have made it possible for thousands to experience and witness the power of art to connect young people to their communities and to opportunities for their futures, to break the cycle of crime and violence, and to bring about healing in individuals and communities affected by behavioral health disorders. Sought after nationally and internationally as an expert on urban transformation through art, Golden has received numerous awards for her work, including the Philadelphia Award, the Hepburn Medal from the Katharine Houghton Hepburn Center at Bryn Mawr College, The Visionary Woman Award from Moore College of Art, The 2012 Governor’s Award for Innovation in the Arts, a Distinguished Daughter of Pennsylvania Award from former Governor Edward G Rendell, the Adela Dwywe /St. Thomas Peace Award from Villanova University, LaSalle University’s Alumni Association’s Signum Fidei Medal, and an Eisenhower Exchange Fellowship Award. The Justice Studies Association is happy to award its 2012 Noam Chomsky Award to Keith McHenry – co-founder of the Food Not Bombs social movement. During the 1970s, Keith McHenry began studying painting at Boston University. His anti-nuclear war street art became the subject of an Off Broadway play called Murder Now! and the film, The Sidewalk Sector. At the same time, Keith studied with Howard Zinn and became active with the Clamshell Alliance making several trips to Seabrook, New Hampshire to protest nuclear power. In 1980, Keith and seven friends started the first Food Not Bombs chapter in Cambridge, Massachusetts. At first more of a street performance than a protest, they set up a bread line bread line in front of a large investment bank to draw attention to the misplaced financing of war and militarism over people’s basic needs. When the performance protest bread attracted many locals in need of food, McHenry and friends spent the next eight years making deliveries of uncooked vegetarian food to most of the housing projects and shelters in the area. Soon, McHenry moved to San Francisco and set up a second Food Not Bombs group, serving food to the city’s needy in public parks and civics plazas. Unfortunately, while Food Not Bombs was dreawing a connection between hunger and military spending, the 1980s saw academics drawing a connection between social “disorder” (what came to be known as broken windows theory) and crime. This resulted in Keith being arrested over 100 times and spending over 500 nights in jail for serving free food in city parks in violation of city ordinances. He faced 25 years to life in prison under the California Three Strikes Law but in 1995, Amnesty International and the United Nations Human Rights Commission brought about his release. For the last fifteen years, Keith has been touring the world and starting up new Food Not Bombs groups and providing logistical support to existing chapters. In 2005, he helped coordinate America’s largest food relief effort organizing shipments of food, clothing and other supplies for the survivors of Hurricane Katrina. The FBI’s Joint Terrorism Task Force has been investigating and infiltrating Food Not Bombs groups across the United States often disrupting Keith’s work. ABC TV’s program 20/20 claimed Keith was one of twenty people planning to destroy New York City during the Republican National Convention in 2004. He was also taken off a flight from Heathrow to Chicago by Homeland Security. Presently, Keith focuses his attention helping provide food to families struggling because of the global economic crisis. He speaks at book stores, colleges and universities about the Food Not Bombs movement, as well as helps organize protests, and cooks with local Food Not Bombs groups as he travels. Today, Food Not Bombs is active throughout the Americas, Europe, Africa, the Middle East, Asia and Australia. He maintains a Food Not Bombs website and provides assistance to local chapters facing arrest, seeking information or requesting literature and logistical support. He also helps the public participate with Food Not Bombs, directing hungry people and potential volunteers to local chapters that feed the hungry each week in over 1,000 cities around the world. And in addition to his work highlighting the harms of militarism and poverty, he is a tireless advocate for animal welfare and a staunch promoter of a peaceful, vegan diet. Accolades and credits for Keith include the 1999 Local Hero Award by the San Francisco Bay Guardian and Resister of the Year in 1995. He is co-founder of the No Police Brutality Day protests and helped start Indymedia (Independent Media Centre) and the Homes Not Jails squatters’ movement. He also coined the term “freegan.” Keith is co-author and illustrator of “Food Not Bombs: How to Feed the Hungry and Build Community.” His book has sold over 10,000 copies in English, 3,000 in Spanish, 3,000 in Italian and was just published in Russian. Keith has a new book HUNGRY FOR PEACE How you can help end poverty and war with Food Not Bombs. He has appeared in Amnesty International’s Human Rights Report,” A People’s History of The United States” by Howard Zinn and been interviewed and recorded in many journals, books and several documentary films. He is currently writing another book about the story of Food Not Bombs as he tours the world speaking about the movement. When he is not on tour he helps share food with his local Food Not Bombs group and is busy in his vegetable garden in Taos, New Mexico or is drawing and painting, riding his mountain bike or swimming. Kathy Kelly is a long-time pacifist and co-coordinator of Voices for Creative Nonviolence. A tireless activist whose efforts toward peace transcend borders, regions and time zones, writer Studs Terkel wrote of her: “She has visited more countries, cities and small towns not listed in Baedeker’s [travel guide] than anyone I have ever known.” Born, raised and educated in Chicago – as a student at St. Paul-Kennedy High School, Kelly watched the film Night and Fog which exposed her to the horrors of the Holocaust. She also was exposed to the writings of Daniel Berrigan and the Rev. Martin Luther King, Jr. All of this convinced her to make a commitment never to sit by and watch evil happen. Now 58, Kelly has spent her life living up to her commitment. Over the last 30 years, she has helped the victims of war wherever they were – whether in Bosnia, Haiti, the West Bank, Iraq or Afghanistan. A war tax resister since 1982, Kelly has perhaps most notably used her resources (financial and spiritual) to provide medicine and other supplies to those trapped by the politics of militarism. Kelly co-founded Voices in the Wilderness, a peace group that highlighted the suffering of Iraqi civilians during the U.N. imposed economic sanctions of the 1990s. Since 1996, she has made two dozen trips to Iraq with medicine and other vital supplies in hand, causing the organization to incur fines of tens of thousands of dollars imposed by the U.S. Treasury Department, fines Voices refused to pay. When the sanctions gave way to the U.S. led “shock and awe” military campaign and diplomats and journalists were encouraged to leave Iraq, Kelly and Voices stayed behind to be there with the victims of war. Today, Kelly is the co-coordinator of Voices for Creative Non-violence (VCR) which is continuing the mission of its predecessor organization. In recent years, VCR has led four delegations to Afghanistan and two to Pakistan to listen and learn from nonviolent grassroots movements and to raise awareness about the negative impacts of U.S. militarism in the region. Over her life, Kelly has been arrested more than 60 times at home and abroad for her tireless dedication to peace and social justice. Nominated several times for the Nobel Prize in Peace and a member of the Catholic Worker Movement, hers is truly a life dedicated to peace and simplicity. Brenda Clubine served 15 years in prison for defending herself against her abusive husband. While incarcerated in the California Institution for Women, she and other prisoners formed Convicted Women Against Abuse. The group led a nationwide effort to change laws for battered women, mobilizing popular support through letter writing campaigns, media coverage, and Senate hearings. Brenda is our featured speaker for the conference. We will also screen the new documentary, Sin By Silence, featuring Brenda and other extraordinary women who, behind prison walls, advocate for a future free from domestic violence. Rethinking Schools began as a local effort to address problems such as basal readers, standardized testing, and textbook-dominated curriculum. Since its founding in 1986, it has grown into a nationally prominent publisher of educational materials, with subscribers in all 50 states, all 10 Canadian provinces, and many other countries. Throughout its history, Rethinking Schools has tried to balance classroom practice and educational theory. It is an activist publication, with articles written by and for teachers, parents, and students. Yet it also addresses key policy issues, such as vouchers and marketplace-oriented reforms, funding equity, and school-to-work. Brazilian educator Paulo Freire wrote that teachers should attempt to “live part of their dreams within their educational space.” Rethinking Schools believes that classrooms can be places of hope, where students and teachers gain glimpses of the kind of society we could live in and where students learn the academic and critical skills needed to make that vision a reality. Among their most recent publications is: Rethinking Multi-cultural Education; Unlearning Indian Stereotypes; The Line Between Us (about the US/Mexican Border); and Rethinking Columbus. A long-time friend of JSA, David G. Gil is a social worker and political philosopher who is Professor of Social Policy at the Heller School of Social Policy and Management, Brandeis University. His former students can be found across the globe, ranging from university professors to administrators of social service programs designed to meet human needs. He was a keynote speaker at the first Justice Studies Association conference in 1997. Born in Vienna, Austria in 1923, Doctor Gil left the country as a refugee in 1939 without his family, a year after Austria was annexed by Germany under Hitler. Before joining the Brandeis faculty in 1964, David Gil worked in agriculture, industry, and social work in Sweden, Palestine, Israel, and the United States. His unceasing, cutting-edge research, teaching, and writing have concerned themselves with the ways that social institutions foster human development or fail to meet human needs through policies and strategies of structural violence. Doctor Gil’s landmark testimony at the Hearings of U.S. Senate Subcommittee on Children and Youth on the “Child Abuse Prevention Act”, S.1191 (93rd Congress, 1st Session) March 26, 1973—see the document [pdf format] —is worthy of study by any student interested in the prevention of violence to children and human beings in all social institutions. In addition to his active service to the Association for Humanist Sociology, the American Ortho-psychiatric Association, and the National Association of Social Workers, Professor Gil served as Co-Chair of the Socialist Party, USA from 1995 to 1999, and as a member of the Executive Committee of the National Jobs for All Coalition. He is an esteemed Editor Emeritus of Contemporary Justice Review. A tireless peace activist dedicated to fostering nonviolence, equality, and social justice Mark Davidov is perhaps best known as founder of the Honeywell Project, the oldest peace organization in the U.S. confronting war profiteering through civil disobedience. Since the project’s founding in 1966, thousands of citizens have participated in peaceful demonstrations against the military industrial complex across the United States. The Honeywell Project has served as a model for grassroots organizations tackling corporate investment everywhere. Born and raised in a working-class Detroit neighborhood, in 1955 Marv was kicked out of the U.S. Army for performing acts of resistance while fulfilling his enlistment obligation. In 1961 he joined the Freedom Rider Movement and traveled to Mississippi to register Southern blacks to vote. A white Jewish male, he deliberately violated a Jim Crow law by sitting in a “coloreds only” section of a Mississippi Greyhound Bus Station. For this act of solidarity he served 45 days in a Mississippi state prison. Two years later Marv became a member of the Canada-to-Cuba Peace Walk and in 1966 became a draft resistance organizer in opposition to the war in Vietnam. At 74 Marv teaches nonviolence at St. Thomas University in St. Paul, Minnesota while he continues his activism. In October 2006, he hosted a “Stopping the Merchants of Death” international conference organized by the U.S. chapter of the War Resisters League where activists from around the world gathered to strategize against corporations profiting from war. The conference concluded on October 2, Gandhi’s birthday, with 74 activists risking arrest for nonviolent civil disobedience at Alliant Techsystems, a manufacturer of depleted uranium and cluster bombs. Weeks later, Marv was among those participating in a day of national resistance at the School of the Americas, Fort Benning, GA.
During his half century of non-stop activism Marv has been arrested more than 50 times for nonviolent civil disobedience for which he’s served a total of six months in jail. The late Philip Berrigan called Marv “a firm advocate for non-violent civil disobedience” and Marv’s friend Noam Chomsky says, “I’ve known Marv for many years. He has committed himself with a kind of dedication that has rarely been matched to reversing the drift toward global destruction, and his work has been extremely effective.” With gratitude the members of Justice Studies Association present the 2007 Noam Chomsky Award to Marv Davidov for his continuing inspiration in our struggle for global social justice. A co-founder of the international human rights organization Global Exchange and the high-profile women’s peace group CODEPINK, Medea Benjamin has been a tireless advocate for social justice for more than 20 years. Described as “one of America’s most committed—and most effective—fighters for human rights” by New York Newsday, and called “one of the high profile leaders of the peace movement” by the Los Angeles Times, in June of 2005 Benjamin was one of 1,000 exemplary women from 140 countries nominated for the Nobel Peace Prize. Since September 11, 2001, Benjamin has been working non-stop to promote a U.S. foreign policy that would respect human rights and gain us allies instead of contributing to violence and undermining our international reputation. In January 2002, Benjamin led a group of Americans who lost loved ones on Sept. 11 to Afghanistan to meet people whose relatives were killed during the U.S. bombing campaign. The journey received so much attention that the U.S. government created a compensation fund for Afghan civilians harmed during the conflict. Benjamin has also led several fact-finding delegations to Iraq and helped establish the Baghdad-based Occupation Watch Center. In January 2005 she organized a trip to the Iraq-Jordan border with parents of fallen US soldiers, to take $650,000 worth of humanitarian aid to refugees from war-torn Fallujah. During the 1990s, Benjamin focused her efforts on tackling the problem of unfair trade as promoted by the World Trade Organization. Widely credited as the woman who brought Nike to its knees and helped place the issue of sweatshops on the national agenda, Benjamin was a key player in the campaign that won a $20 million settlement from 27 US clothing retailers for the use of sweatshop labor in Saipan. She also pushed Starbucks and other companies to start carrying fair trade coffee. A former economist and nutritionist with the United Nations and World Health Organization, Benjamin is the author/editor of eight books. She lives in San Francisco with her husband and two daughters. Folk musician extraordinaire Faith Petric . . . Folk singer and song archivist Faith Petric was presented with the 2005 Noam Chomsky Award at JSA’s Noam Chomsky Award luncheon June 4th. Coming all the way from San Francisco, Faith is a bundle of energy and passionate interpreter of justice songs for workers, the poor, hoboes who rode the rails, the environment, women, children, and those in need generally. Peter Seeger said Faith is “one of the most extraordinary people in the world.” And we found that out. Having turned 90 last September (2005) Faith is as spry and fit as her songs are eternal in their meaning. She has performed for the past half century at all the major folk festivals in North America. She is one of the best kept secrets in the world to people outside the traditional music circuit so we were honored to present her with an award that our association holds so dear. Faith has challenged the paradigm of justice of the 21st century through her writings, has been an activist par excellence for decades, and lives a life of simplicity that we all will desire to emulate. After receiving the Chomsky Award Faith performed a good dozen songs from her wonderful CDs “When Did We Have Sauerkraut?” “Faith’s Favorites,” and “Sing a Song, Sing Along.” Her rendition of some of these tunes had some at the luncheon in stitches and others nearly on the floor from laughter. Her wit and brilliance of mind in speaking a tradition of justice for all were as evident as her winning smile. We are grateful for her presence in this world of ours. Activist and scholar Edward T. Chambers was presented with the 2004 Noam Chomsky Award at the association’s annual conference at Edgewood College in Madison, Wisconsin on Saturday, June 5, 2004. Ed Chambers heads the Industrial Areas Foundation (IAF) in Chicago, which was founded by Saul Alinsky. The IAF is the oldest and largest institution for community organizing in the U.S. For sixty years its mission has been to train people to take responsibility for solving the problems of their own communities and to renew the interests of citizens in public life. Indian writer and activist Arundhati Roy received the association’s 2003 Noam Chomsky Award at the association’s annual conference at the Sovereign Hotel in Albany, New York on Saturday, May 31, 2003. Ms. Roy delivered a powerful address at the time of the award presentation during the Chomsky Award luncheon. Avid readers will know Ms. Roy from her award-winning book, The God of Small Things which was published in 1997 and for which she received the Booker McConnell in 1997. Although Indian authors such as Salman Rushdie and Rohinton Mistry have been featured in the Booker shortlist and Rushdie’s Midnight’s Children won the Booker of Bookers, Roy is the first non-expatriate Indian author and the first Indian woman to have won this prize. Of course, social and political activists will know Arundhati equally as well for her longtime interest in quality of life issues. She has immersed herself in causes such as the anti-nuclear movement and the Narmada Bachao Andolan. Her two major essays “The End of Imagination” and “The Greater Common Good” have drawn attention and donations to these causes for which she also made significant monetary contributions herself. Her involvement in these causes has attracted controversy and criticism from all sides of the political spectrum. Her latest work Power Politics (South End Press) has just been released and The Cost of Living (1999; see excerpts from Kirkus Reviews below) was very well received. Other recent social justice writing and speaking includes “Shall we leave it to the experts? : An essay about writing” (January 14, 2002 Outlook); a speech at the opening of the Hague Appeal for Peace conference in 1999; “The Art of Spinning: How Uncle Sam Turns Indian Gold Into Straw; and criticism of Shekhar Kapur’s film about Phoolan Devi ‘Bandit Queen’ which led to a court case in 1994. Ms. Roy was born in 1961 in Bengal and grew up in Kerala. As the daughter of Mary Roy–the woman whose court case changed the inheritance laws in favor of women–she was closely acquainted with the Syrian Christian traditions which feature prominently in her fiction. She trained as an architect at the Delhi School of Architecture but became better known for her complex, scathing film scripts. We are grateful to Sawnet (South Asian Women’s NETwork), a forum for those interested in South Asian women’s issues, for our basic facts on Arundhati’s life. At the annual JSA conference in Portland, Maine, May 30-June 1, Elizabeth McAlister and Daniel Berrigan were presented with the association’s annual Noam Chomsky Award named after the distinguished Professor of Linguistics and Philosophy at MIT. The award was established to recognize persons or groups who have been a source of inspiration through their commitment to scholarly activities related to justice; have been personally active in the promotion of peace and justice; and are dedicated to a life of simplicity. Both of these individuals meet these requirements in spades. As many may know, Elizabeth McAlister is the wife of the late peace activist, Philip Berrigan, Dan’s younger brother. Phil died on December 6, 2002 at Jonah House. Liz McAlister, Phil Berrigan, and Dan Berrigan are three of the most influential and inspiring members of the peace movement in the United States during the 20th century. Although Phil told us that he does not “accept awards-under the authority of Jesus & Gandhi” we mention him because these three contemplative activists are like three peas in a pod–a hospitable pod that includes many other members of their communities. We did not include Phil in the award to respect his wishes but mention him out of deep affection. Liz, a former nun, Phil, a former Josephite priest, and Dan, a Jesuit priest have been engaged in peace activism, writing, and speaking about justice for four decades. This has included creating communities of human concern as well. Liz and Phil, with other peace activists, founded Jonah House a Christian resistance community in Baltimore in 1973. This community is dedicated to embracing the mandates of the Sermon on the Mount in service to those forced into poverty and to practicing works of mercy and justice. Part of this work has included nonviolent civil disobedience against the military policies and strategies of the United States government. On September 9, 1980, for example, Phil, Dan, and six others began the Plowshares movement by entering the General Electric plant in King of Prussia, Pennsylvania and subsequently hammering and pouring their own blood on two nose cones of nuclear warheads. This has been followed by more than 60 Plowshares disarmament actions by others. This kind of active resistance to U.S. war machinery and the government that supports it can be traced to Phil and Dan’s acts of civil disobedience in Catonsville, Maryland in May, 1968 when they and seven friends set afire Selective Service files in a parking lot outside Draft Board #33, Catonsville after dousing them with homemade napalm. The 2001 (and first) recipients of the Noam Chomsky Award were a collective, the Editors of Z Magazine and ZNet, Lydia Sargent, Eric Sargent, and Michael Albert. And so it goes, with colorful permutations, month after month, year after year as these three Chomsky Award recipients seek to balance their commitment to work, their families, and significant others, that is, to social justice. In addition to founding Z Magazine, Lydia and Michael are also co-founders of South End Press. They have also established the Z Media Institute, a summer school held in Woods Hole each June that prepares participants to start and run a media project. Eric also does book fulfillment work on contract for South End Press. It was with great pleasure that we welcomed them to our Friday luncheon to receive the award and to share their ideas on participatory economics and democracy generally. Consistent with the tenor of the award, the recipients did not receive a plaque or trophy but a piece of handcrafted pottery, a large salad bowl that Albany potter, Amy Braig, prepared in her studio at home. The only visible recognition of the award is some scratched-in work on the bottom of the bowl. Here we have a container, made by hand, by a local potter, a vehicle through which the recipients and their families and friends can share food and celebrate their life together in justice. Just like Z.